Inside Frisch's Makeover! | The Food Hussy! Our beloved Frisch's is undergoing a makeover! Well - it's starting with the Covington location but some of the changes will be expanding to all the stores in the coming months. The Grand Re-opening of the Covington location was last week and I was invited. 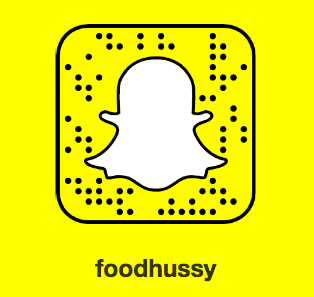 Be sure to follow me on Snapchat because that's where all the LIVE stuff happens - I live Snapped a tour of the new Frisch's. Don't miss out on cool stuff like that - add me as a friend! And separately - I'm now ADDICTED to Snapchat - it's so much fun! I love seeing videos from my friends as well as bloggers I've never met before. Chat withe me and I'll share with you my favorites! Back to Frisch's - if you like Frisch's - you need to visit the Covington location - it's so pretty! They have a new food promise and have done a lot of work on their food photography and boy does that Big Boy look yummy! They also have local artists renderings of our beloved Big Boy adorning the walls along with location-centric photos. Frisch's new Executive VP of Marketing Anne Mejia gave me a tour and mentioned how they really found that people identify with their neighborhood Frisch's - so they've added those neighborhood touches - including a big ol' Welcome to Covington when you walk in! There is also a big merchandise wall with your favorites like Frisch's famous tartar sauce and new things like hats and down the road - their own branded coffee. Now you want to grab the pie right out of the picture! 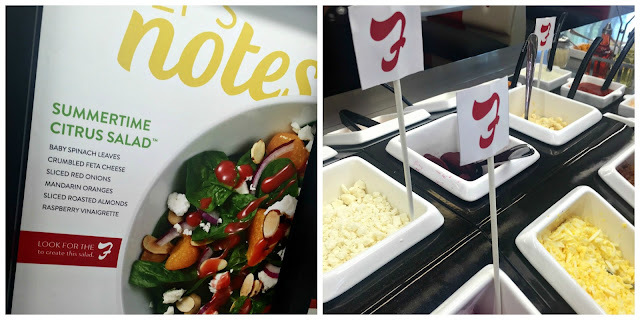 Chef Greg also created some new signature salads and they came up with a cool idea to mark the ingredients on the salad bar so you just look for the F's and the salad is made! I really love this idea - I can make my own combos - but I love trying new combos that the chefs dream up! There's also a new kids area with coloring pages and a little bench for them to hang out at. I can imagine this area is going to get used a LOT! But don't worry - Big Boy is still there for you to selfie it up with! Actually - they've made it easier because they moved him up by the door instead of out in the parking lot! So - and this post is completely unpaid and unsolicited - check out the new Frisch's and enjoy the changes. Hopefully they all go over well and we'll see them trickling out into the city over the coming months!